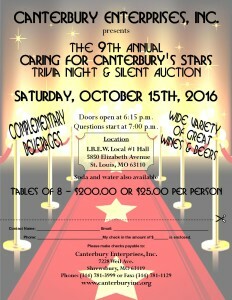 Caring for Canterbury's Stars - Canterbury Enterprises Inc. The latest information on our biggest event of the year! 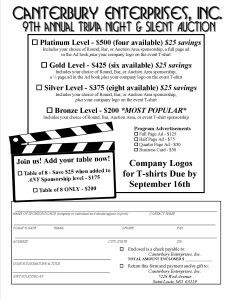 Join Us Saturday, October 15th, 2016 at IBEW Local #1 for the best trivia night of the year! 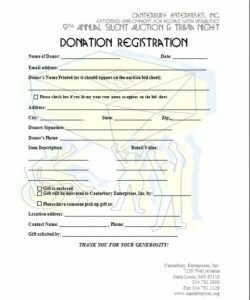 This annual fundraiser supports our mission and gives you an opportunity to bid on and win some great items through the auction and games. When is the last time you played Heads or Tails?! We also have cash prizes if you place in the top 3 at trivia and if you try your luck on the 50/50. Would you rather volunteer but still want to bid? No problem! We appreciate good volunteers and gladly accept volunteers bids, as well. Get your table together now! Give Charlie a call at 314-781-3999 or e-mail ([email protected]) to reserve your table early. 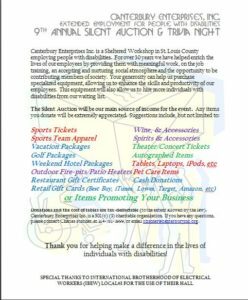 Are you interested in donating to the auction? Would you like to sponsor a portion of this fundraiser? We have several options available. Give us a call if you have any questions! Click here to see some of this year's donors and sponsors. Please call or email ([email protected] or [email protected]) if you have any questions.